Chia seeds have rich nutrient content and antioxidant properties. Why is it good for my body? Bursting with nutrition, chia seeds contain 35% good quality oil and 25% protein. They also have a very high concentration of phosphorus, maganense, magnesium, iron, calcium, zinc, selenium, and vitamin B12. Where does it come from? 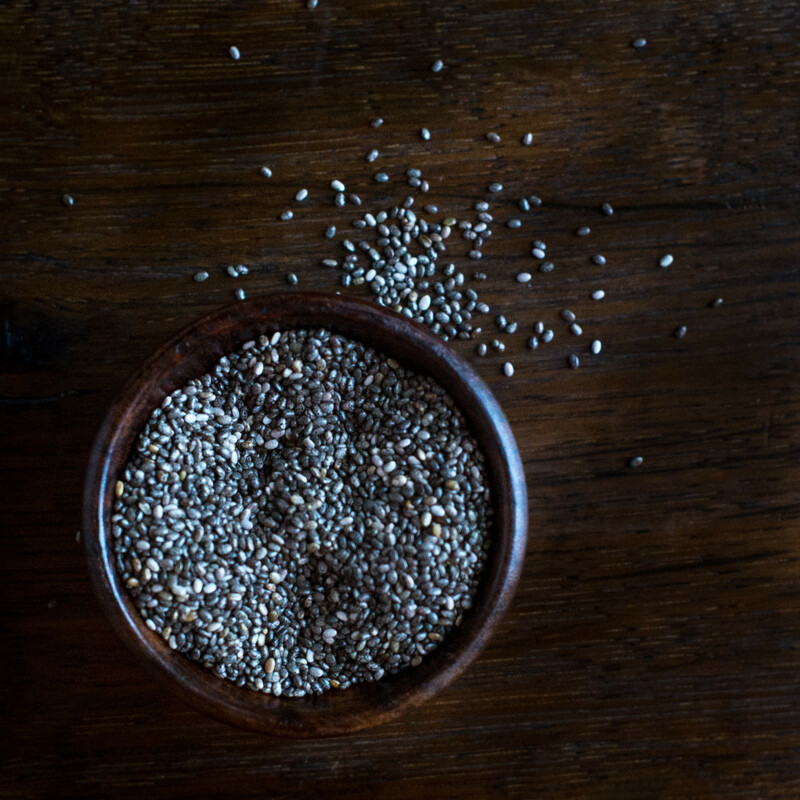 Chia seeds have been an established food crop in Mexico and Central America since 2600 BCE. How do I store and handle it? You can find chia seeds in most grocery stores, often in the organic food section. What are ways to eat it? At the Yum Kitchen, we like to add chia to lots of recipes to bump up the nutrition! Add chia to smoothies, muffins, energy bites, oats, and even make chia jam.